– Actions – Wave hello to your friends, or show off your funky fresh moves on the dance floor! Level up to unlock more actions. 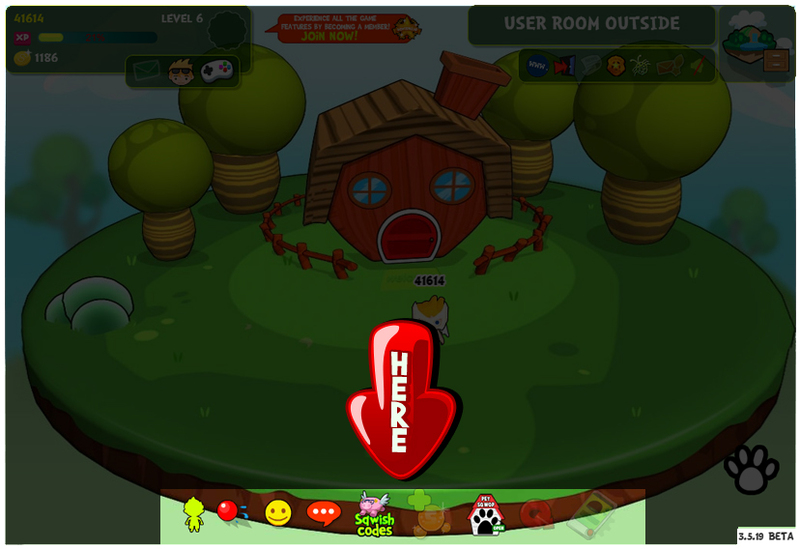 – Throw items – As you level up, you’ll be able to toss more and more super fun items. Splash your buddies with Water Balloons, get the party started with Confetti Poppers, or vanish into a puff of smoke with a Smoke Bomb! – Emoticons – Show others how you’re feeling with one of over a dozen emoticons! – Chat – Interact with your buddies in this super safe Chat Module by choosing from a predetermined set of text options. Parents love this form of communication because of how very safe it is for everyone on SqwishLand! – Enter SqwishCodes – Here is where you can enter the SqwishCodes found in every one of our SqwishLand toys! Redeem your code for Sqwash and Items – sometimes you’ll even unlock something extra special, like a Free SqwishClub Membership… You’ll never know until you try! – Purchase additional Sqwash – This feature is not available in the Beta version. When the final version is released, you will be able to buy additional Sqwash, so you can buy all of the SqwishLanders and accessories you could ever think of! – Gallery – In the Gallery, you can browse and buy over 1,000 different pets from all over the SqwRegions of SqwishLand! Try to collect and raise them all to be happy and healthy! – Quests – This feature is not available in the Beta version. If you get lost or side-tracked, check your current Quests here to get back on the right path to discovering the mysteries of SqwishLand! – SqwishLaunchpad – This feature is not available in the Beta version. When the final version is released, you will be able to use the SqwishLaunchpad as a centralized HUB to interact with dozens of awesome SqwishLand features both in and out of the game!